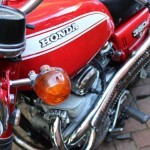 Restored 1971 Honda CL350 Motorcycle. 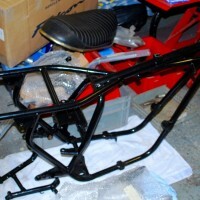 This Honda was stripped and restored by its owner to reflect the fact that it’s a 44 year old bike. 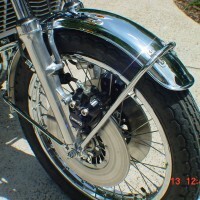 Most of the chrome work is original but the smaller parts were re-chromed where necessary. All of the the seals, brake shoes, cables and the seat cover were shot so they were all replaced. 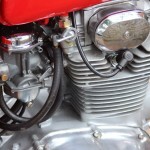 The engine was stripped, checked and the piston rings were replaced as the bike had been sitting for some time. The carburettors were rebuilt with all new internals after being ultrasonic cleaned. All of the gaskets were replaced as a matter of course. 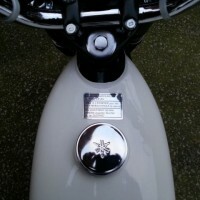 The paint work was professionally refinished with new decals from the USA and lacquered over. 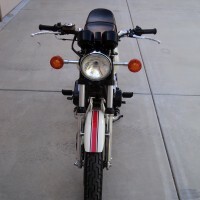 A really nice restored Honda CL350 Motorcycle. 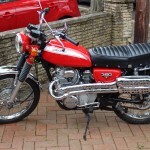 Honda CL350 – 1971 For Sale or Wanted? 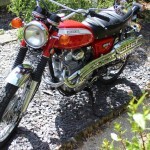 If you're looking for the perfect Honda CL350 – 1971 for sale then take a look at the hundreds of restored classic motorcycles listed on our extensive Motorcycles For Sale pages. 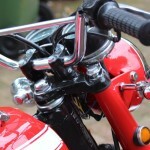 We regularly feature very nice restored Honda CL350 – 1971 bikes for sale. 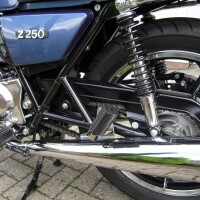 Spares and Parts for your Honda CL350 – 1971? 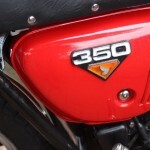 Workshop Manual for your Honda CL350 – 1971?